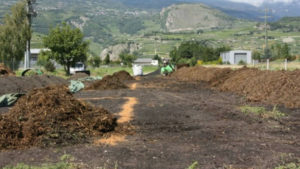 in Carbon and Our Soil, Compost News, Education, Farming & Agriculture, News At A Glance and tagged biochar, compost. Bookmark the permalink. If you heat organic waste in a low-oxygen environment (pyrolysis), you get a substance known as biochar. Biochar’s excellence as a crop enhancer has been known for a century – and possibly much longer in cultures such as the indigenous inhabitants of the Amazon Rainforest. Indeed, in some circles biochar has achieved a hallowed status as the salvation of the planet. Yet its application has been held back through a lack of understanding of why it’s so potent, something that might have finally been solved. Biochar holds onto nutrients and releases them slowly, a trait so valuable it can improve crop yield by 400 percent compared to traditional fertilization. More recently, biochar’s longevity has been recognized as a carbon store to prevent global warming. Nevertheless, knowing what it does and how are different things. The pores that form within the char are thought to play a role in trapping nutrients, but details have been hazy. Nearly impossible being an inducement to scientists, Borch and his co-authors used a mix of techniques – from scanning transmission microscopy to ultra-high resolution mass spectrometry – to study how biochar changes after being exposed to manure. 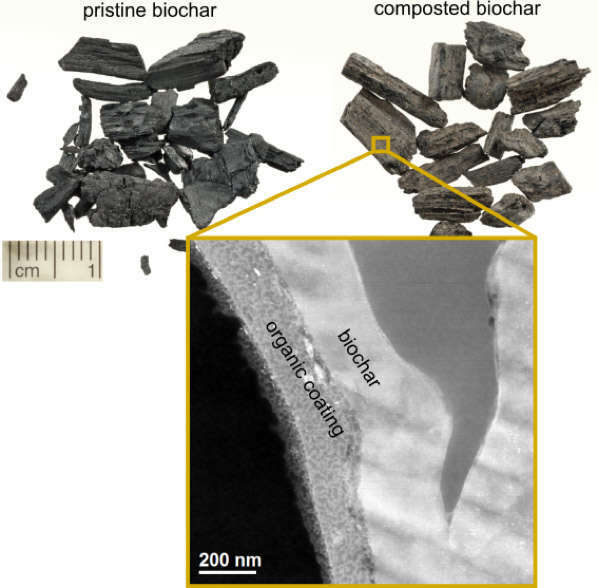 “The coating improves the biochar’s properties of storing nutrients and forming further organic soil substances,” said co-author Professor Andreas Kappler of the University of Tuebingen. The coating strengthens interactions between biochar and water, ensuring nutrients are released slowly, rather than in destructive pulses. If mixing your biochar with manure doesn’t sound like fun, the team note that similar coatings form far more slowly in soil. To those who haven’t caught the biochar bug, the work may not seem important, but biochar’s potential is world-changing. Growing plants that can then be turned into biochar is one of the few ways we know of to remove large quantities of carbon dioxide from the atmosphere in the long term at prices that are even close to affordable. Meanwhile, with nitrogen-based fertilizers releasing nitrous oxide – another greenhouse gas – and destroying the ecosystems of waterways with their run-off, an alternative method of fertilizing crops is badly needed. We know biochar in high concentrations, or mixed with other organic nutrients, can produce outstanding results, but on its own, or with cheaper mineral nutrients, the results are far less impressive. This work could help make biochar effective at manageable concentrations and without expensive additives.